Pub Quiz night. Registration starts at 7:30. Teams compete to answer rounds of trivia questions. Winning team wins prize and chooses a charity to make a donation to. A taste of Irish right here in Maryland! We offer all of the Irish favorites including Corned Beef and Cabbage, Shepherds Pie and the best CRABCAKES anywhere. We also have a selection of daily specials which are original recipes created right here using fresh local produce and ingredients. Don't miss our Sunday Jazz Brunch. 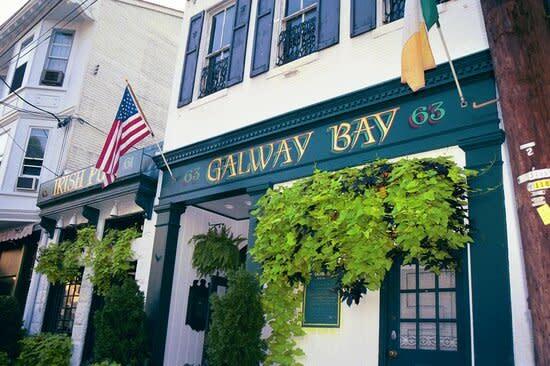 We have a special menu of breakfast and lunch dishes all in our signature Galway Bay Irish style. Come enjoy good music and great food.